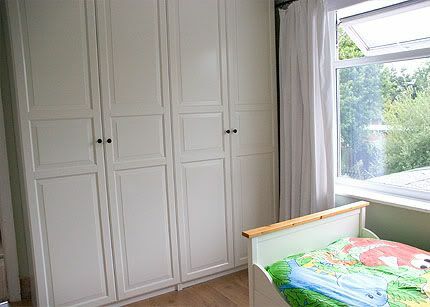 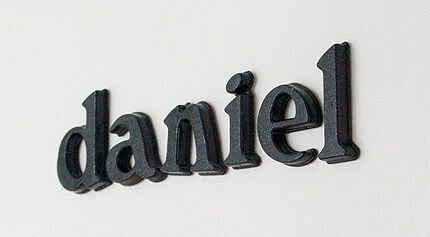 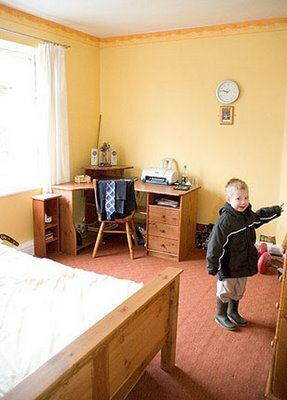 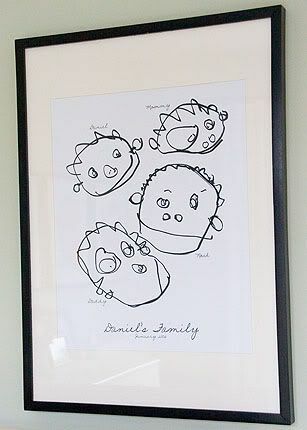 Daniel's room is (almost) finished! 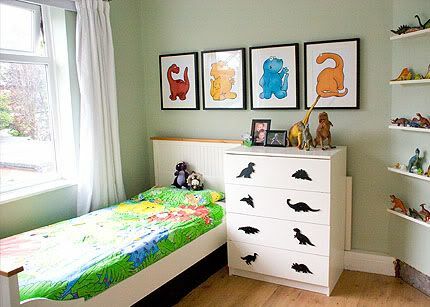 I love how it turned out, I love decorating - it's so exciting to see the images in my head become reality. 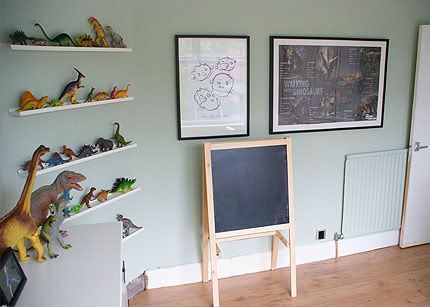 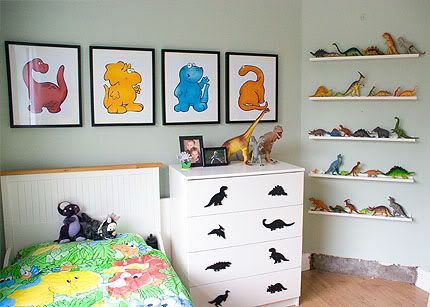 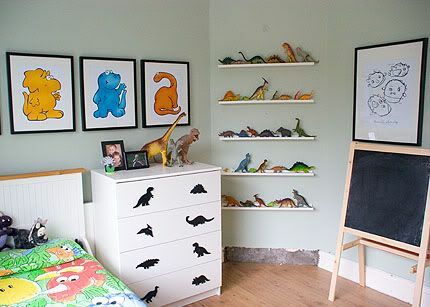 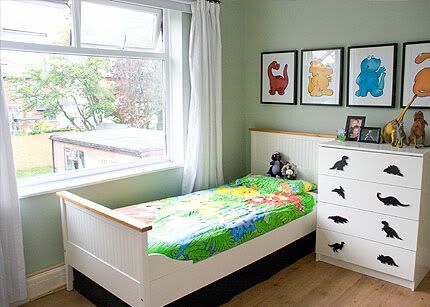 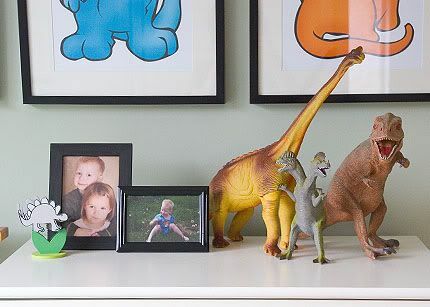 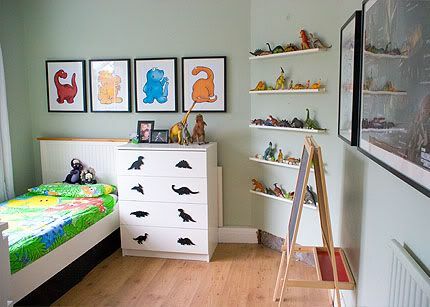 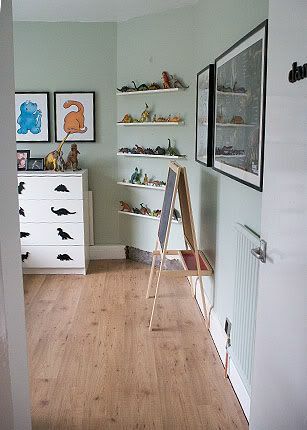 I'm not really into themed rooms, but Daniel is so obsessed with dinosaurs that who am I to deny him a little dinosaur paradise of his own? 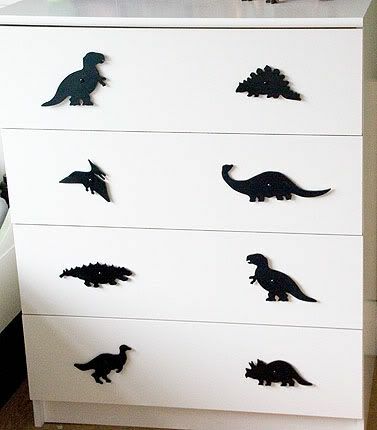 Thanks for looking! 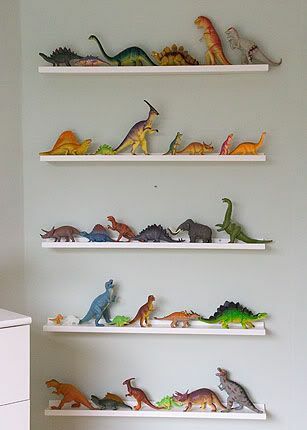 I'm very proud of it all.